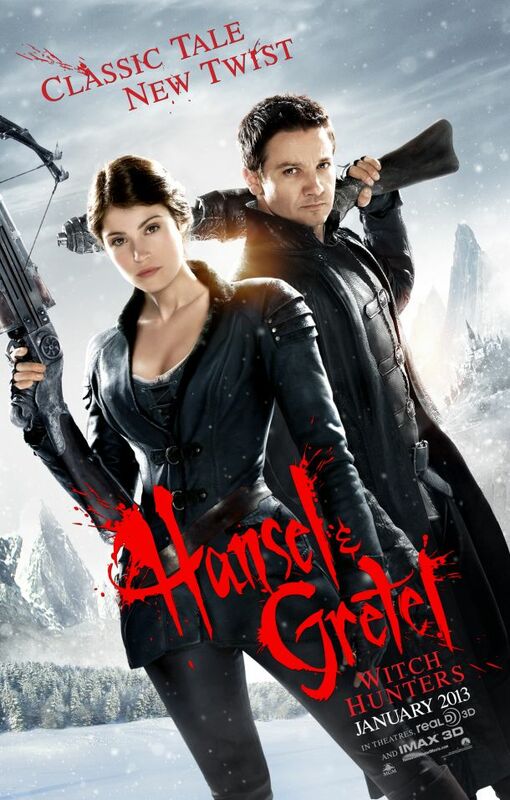 Jeremy Renner and Gemma Arterton hunt and kill witches. That’s it for subtext in this formula January flick. Were you expecting more? Didn’t think so. It’s obvious that Norwegian writer-director Tommy Wirkola has no faith in his story, so in order to keep goosing the audience, he throws in one witch after the other, explodes heads and tosses them at us in 3D. It looks fine the first two or three times you see it, then the repetition seeps in and bores you breathless. I’m surprised he didn’t give Hansel and Gretel a shot at Osama Bin Laden (you know while they’re at it?). When will they ever learn that more, more, more adds up to less, less, less? The talented Renner (“Hurt Locker”, “The Town”, “The Bourne Legacy”) deserves to go on to better things. The movie on the other hand deserves a stake through the heart. Better yet, burn it!